Welcome to the SeaGate Yacht Club, where we have been enjoying friendship, socializing and boating since 1976. The Club has come a long way since our founding on an October weekend in Avalon over forty years ago. We are very fortunate to live on the Southern California Coast where our nearly perfect weather and boating conditions allow us endless opportunities for enjoying life. I am honored and proud to be the Commodore for 2019 and hope to continue the tradition set by my predecessors that have made our club a great place for boating, friends and fun. We have some of the greatest people working together and having lots of fun along the way. SeaGate Yacht Club has something for everyone. Traditionally we have a get together for every month of the year. These events range from casual to semi-formal. The goal is to have a relaxing social atmosphere combined with fun, friendship and boating. The purpose is to meet new friends and neighbors of Huntington Harbour. You do not need to own a boat to be a member. We encourage ALL SeaGate residents (and our neighbors!) 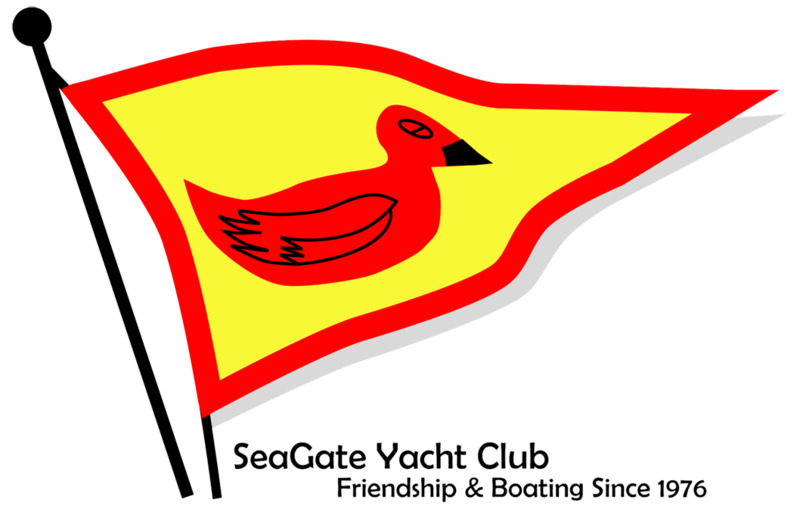 to consider this great opportunity to be a part of our club, SeaGate Yacht Club. Anyone interested in joining us, please contact any one of our Officers or members. SGYC was formed to provide a social environment for members who enjoy boating and a love of the sea. We intend to be responsive to the desires and needs of our membership and to provide an informal, friendly environment that is fun for all. View past issues of "The Burgee" our bi-monthly newsletter. View burgees of sister clubs with whom we have exchanged burgees. "Where in the World is the SGYC Burgee"
View photos of members taken with the SGYC Burgee throughout the world. Review reciprocal invitations from neighboring clubs. Go to Southern California Yachting Association web site. Information on Marine Medical and Safety by Fleet Surgeon, Mark Monroe, M.D. Coastal Cleanup Day is September 21, 2019. Check here for information on this event. Read the SGYC By Laws.